Fridja f1500 High Pressure Clothes Steamer – Product Overview! 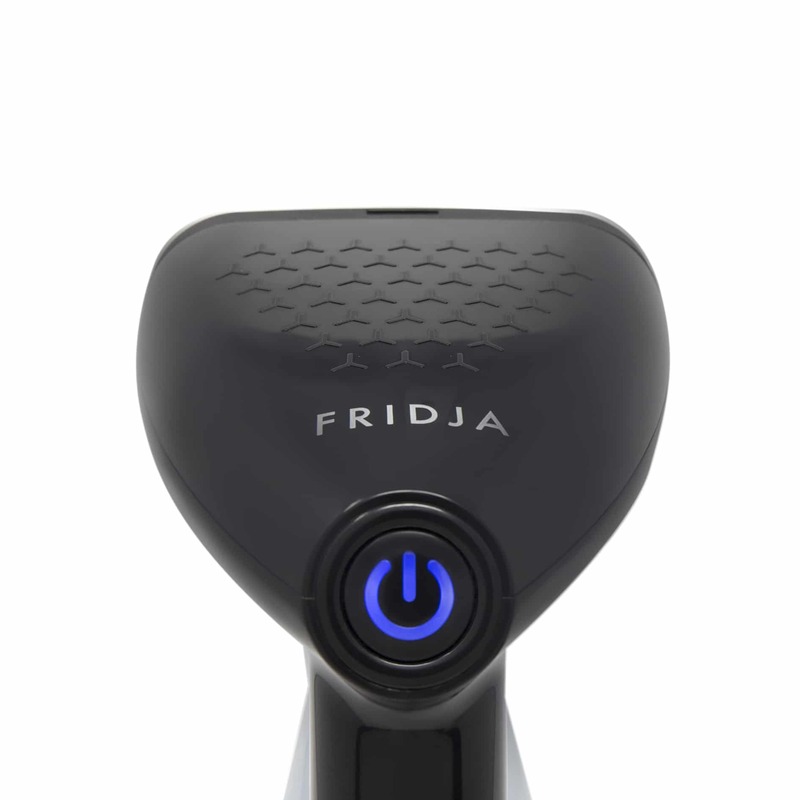 Fridja f200 Wireless Fast Charging Led Mirror Desk Lamp – Product Overview! Our most ambitious video yet, we’ve wrapped everything you need to know about Sergio, our AMAZING f1900 advanced whole fruit juicer, sorbet maker and fruit ice cream maker into a short movie. Have you ever felt rough, and then had a juice and everything seems better? We have. That’s why we love juicers. And we’ve designed the best advanced whole fruit juicer out there. Big claim, but we’re super confident about it. Meet Sergio! After our successful launch and sale of Mario, our f1800 whole fruit juicer, we listened to the feedback and updated him for 2018. Sergio keeps the same fundamentals that mean a great juicer. He’s got a power auger that squeezes fruits and vegetables to produce cold press juice. He avoids using blades to shred fruit and vegetables apart, and thus reduces oxidisation. This means that juice retains more nutrients and vitamins (and avoids juice going brown, ewww). The main improvement is the feeding chute. The three-inch feeding chute is clearly a winner, but what separates Sergio the advanced whole fruit juicer from the competition is that the feeding chute is at an angle. This angle means that less (or none) of the produce gets stuck at the top. It’s a much easier process to juice and much less (or none) is wasted. By feeding in at an angle, you’ll be maximising your juice and minimising your waste. Ba, da, boom. Sergio, just like Mario, is capable of producing much more than just juice. The f1900 is also a beast at smoothies. Take thawed frozen fruit and add into the f1900 and you’ll be gifted with gorgeous tasty healthy smoothies. Pretty exciting stuff. Lastly, Sergio comes with the fruit ice cream attachment. Fruit ice cream is so good, and healthy! We’re surprised it’s legal. We’ve also taken a design change, we’re going #allblackeverything. 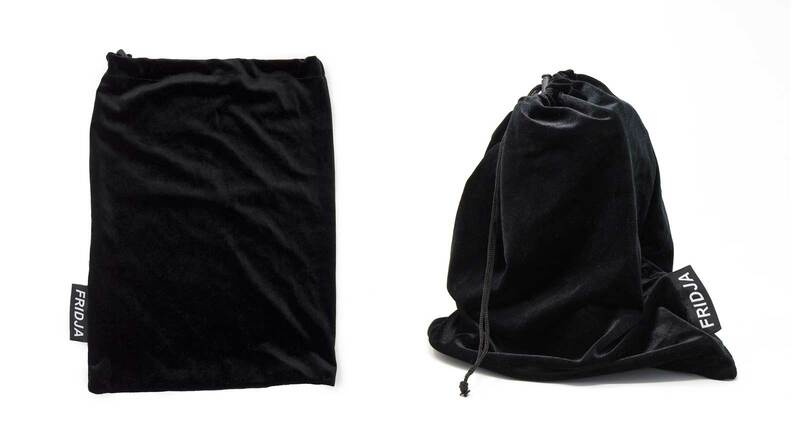 We’ve always loved black products, our bestsellers have always been Karl, Alexander and Raf. 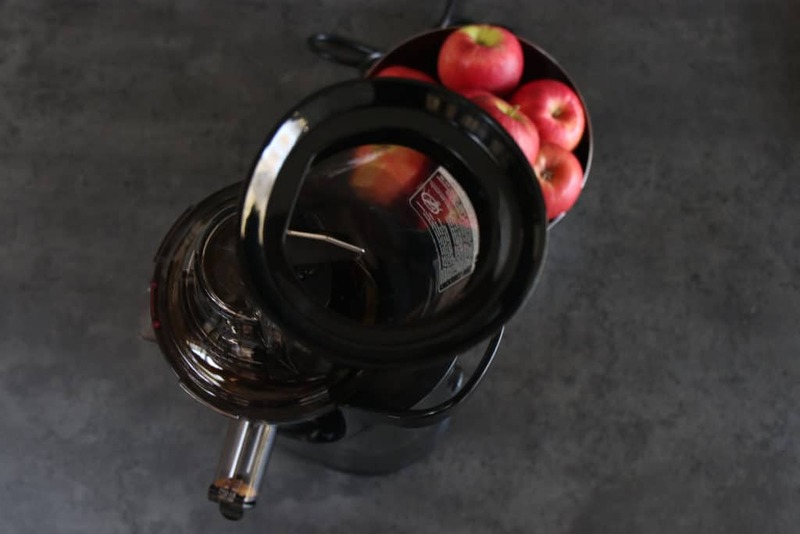 We’re loving the black minimal look of modern kitchens, so we decided to make a juicer that fits in perfectly. I mean, he’s gorgeous! So not only is he functioning great, he looks the part. Proper handsome. And when you’re done with juicing, there’s no blade and dry pulp, so washing up is a doddle. 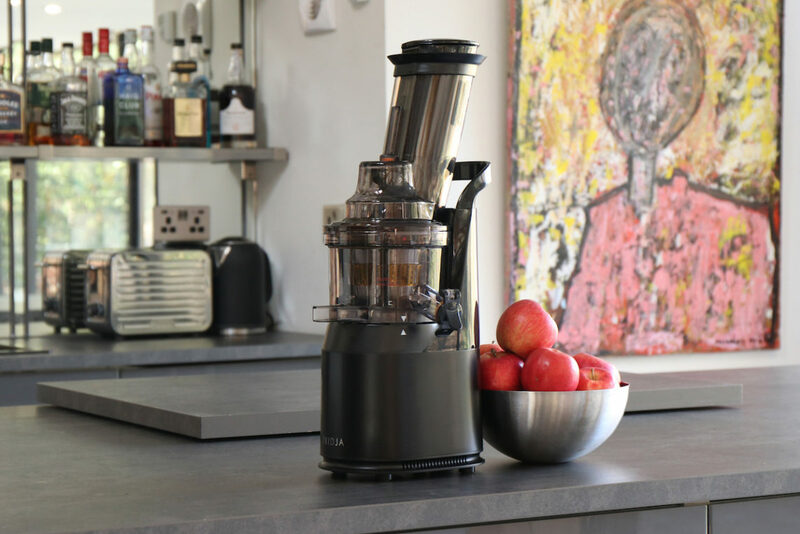 Check out more about Sergio, our advanced whole fruit juicer here, or head to the product page to buy for next day delivery. Karl, Kate, Marc, Alexander and all of the f1000 and f1400 gang are gorgeous staples in the Fridja inventory. Since 2010, we’ve sold our clothes steamers across the UK and Europe. 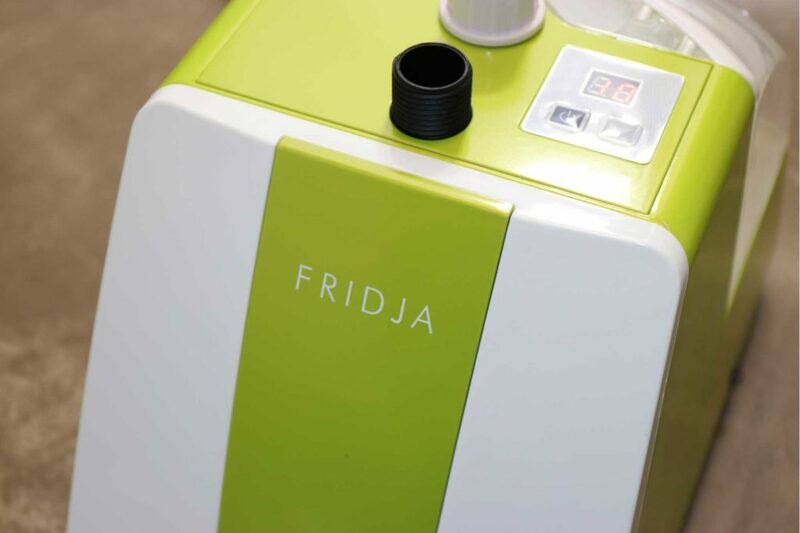 So we are SO PROUD to relaunch Fridja f1000 and f1400 clothes steamers for 2018 with five huge improvements! We’ve reconstructed the head of our clothes steamers into one solid unibody stainless steel panel. The removal of all screws was an engineering feat that allows you ultimate confidence when steaming even the most delicate of garments. Now the heads are 100% smooth with better flow and glide than ever before! Now using an f1000 or f1400 is so much faster! From cold water to hot steam is now only 35 seconds! 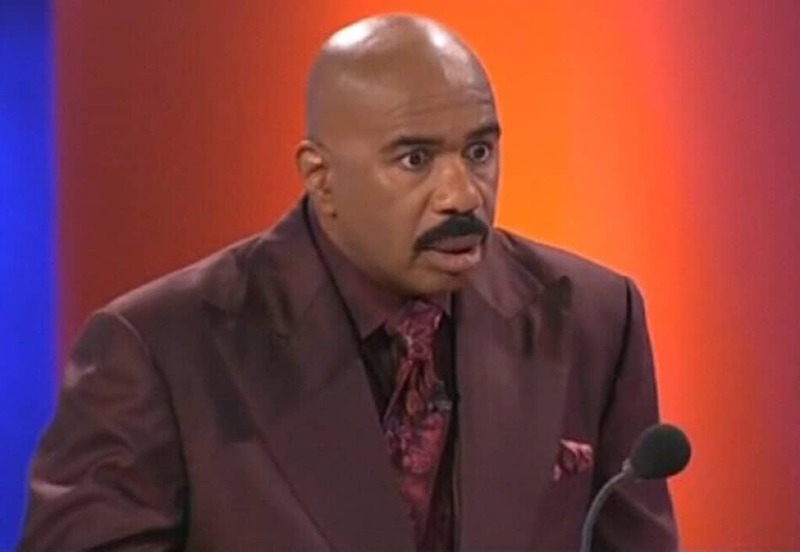 We’ve shaved off a massive 10 seconds from the start up time. This 22.5% improvement means that by the time you’ve turned on your machine and hung up your garment, you’ll be ready to steam. In the office we managed to steam a shirt in under 3 minutes total and under 2 minutes for a dress! We are now proud to say that our best selling steamers emit even more steam than they did. Our average steam output was 25 grams per seconds, we’ve now turned that up to a whopping 30 grams per second. This 20% increase will melt creases even faster. 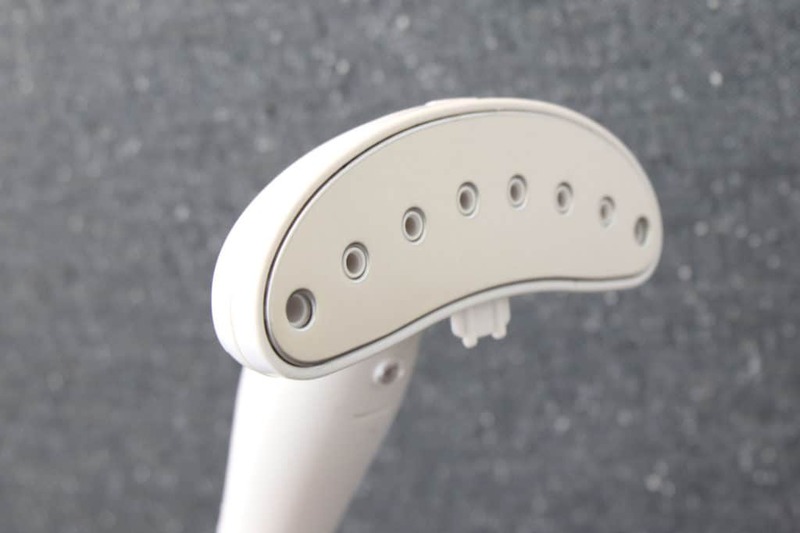 Glide the steamer over even the most stubborn of creases and they will simply melt away. 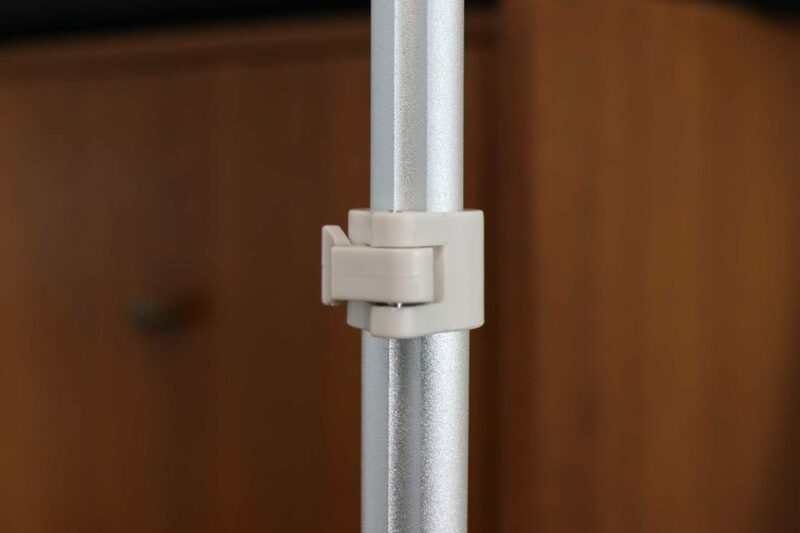 Our stands now use special clamps to go from storage size to full size. By using clamps, the action of erecting the steamer is much much faster and much safer. Opening a clamp and closing it takes no time, and ensures you are steaming much much faster than before. Our steamers now come with instruction manuals with five languages inside! 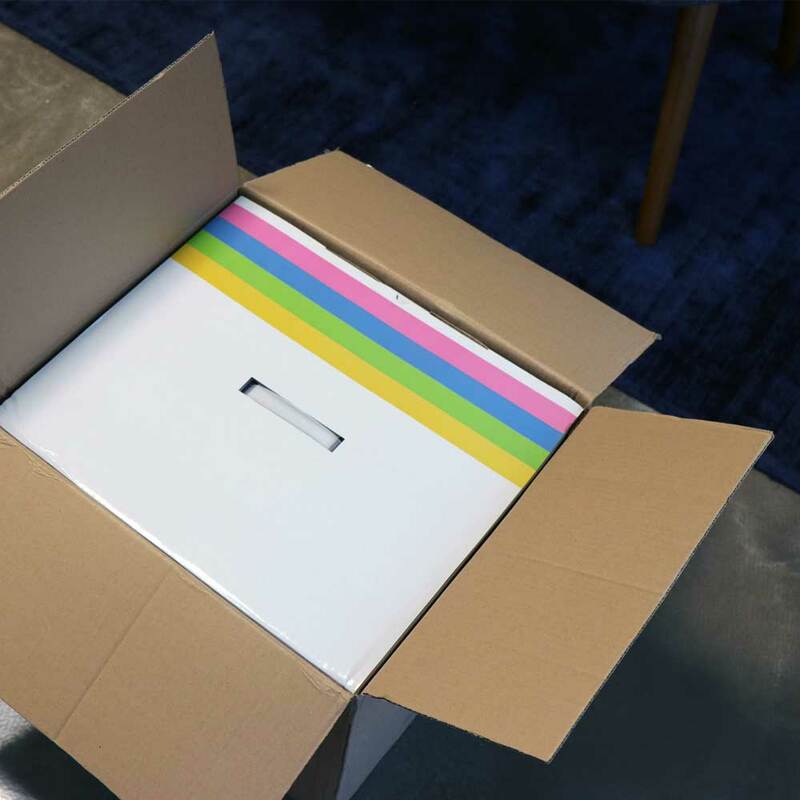 That’s right, our French, Spanish, Italian and German customers will have full instructions out of the box. Should you wish to peruse them right now, please click these links for our f1000 instruction manual and our f1400 instruction manual. 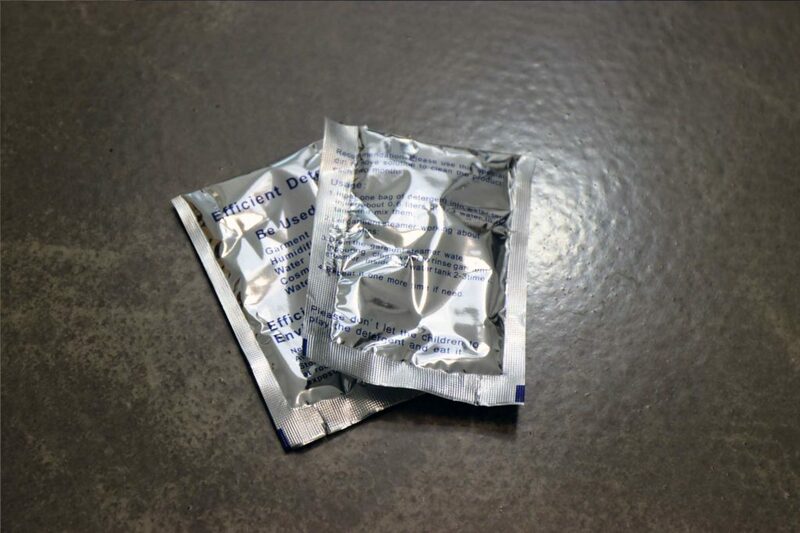 Our steamers now come with two cleaning sachets in the box, which will last for 3 years for domestic use. These cleaning sachets will remove all limescale from the heater and steamer head, ensuring a clean and steady steam flow. A clean heater will also lead to a long and productive life of a steamer. The UK and Europe’s best clothes steamers just got even better! The question is, when will the model with these improvements be released? The wonderful answer? 1st January 2018! Every steamer bought from now on will now have these improvements! Well oh well oh well! f10 Raf Black Sold Out! Just 20 days after we launched our f10 handheld clothes steamer, we have totally sold out! Absolute shocker. We will of course be getting them back in stock in the spring of 2018, but until then we still have stock of Erin and Gigi. 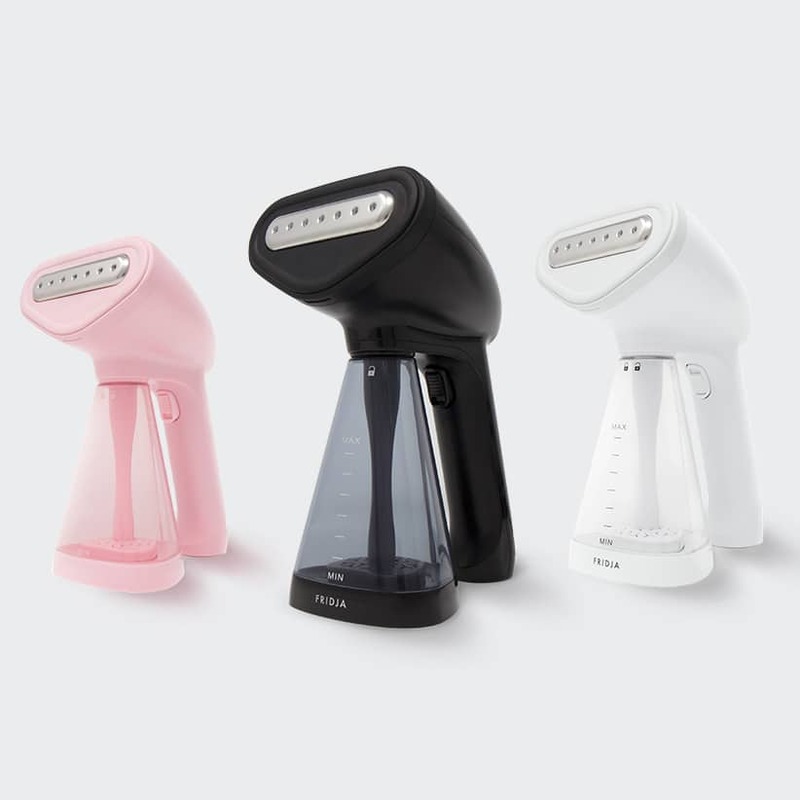 We Launch Our f10 Handheld Travel Clothes Steamer! 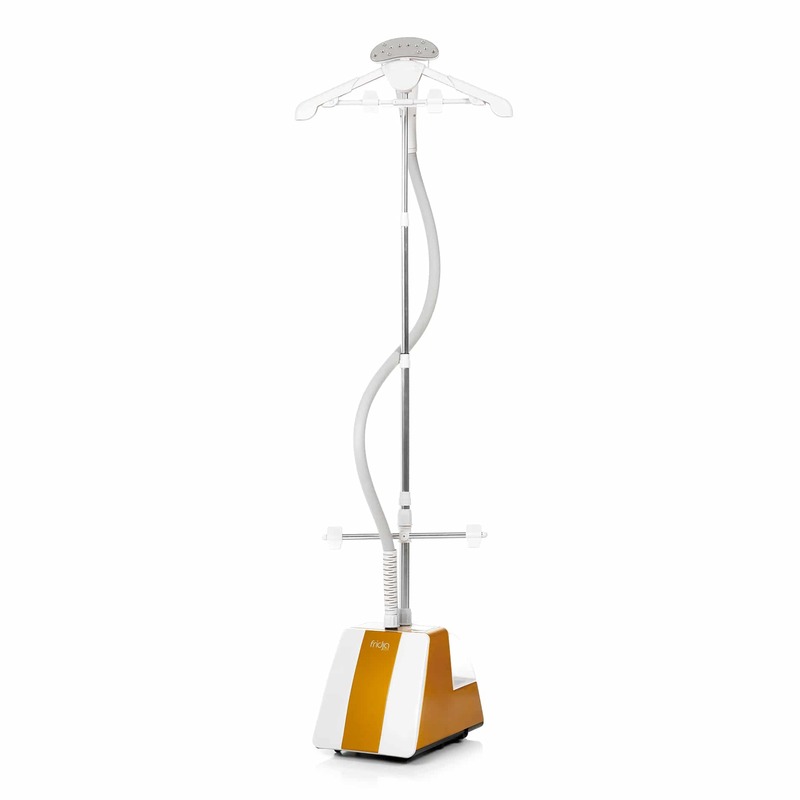 After years of development, we are super proud to launch our f10 Handheld / Travel Clothes Steamer! YES BOSS! Maximum power, crease busting, long lasting water tank, gorgeous aesthetics and reasonably priced. We are SO EXCITED to tell you all about it! However we’d like to start by telling you about how we got here. 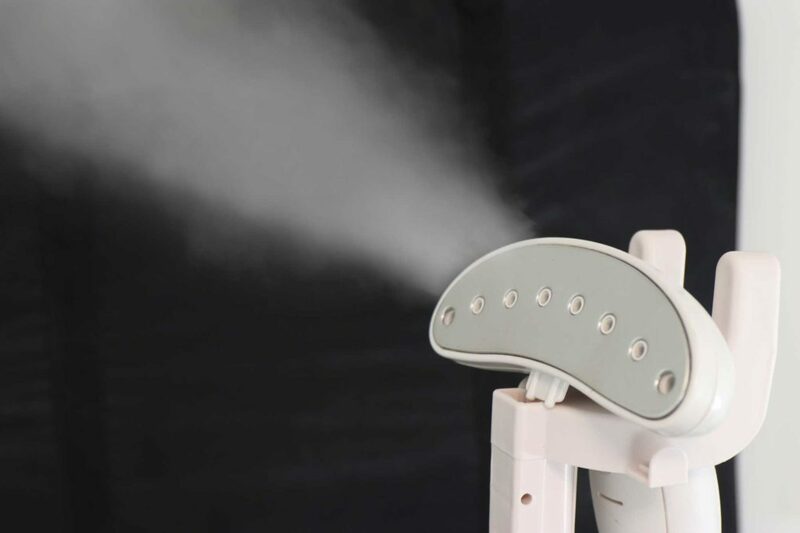 There are so many clothes steamers on the market, so how is ours different? Well we knew exactly what our competition was, and how we were going to be better than every single one of them. Getting our handheld travel clothes steamer wasn’t easy to be honest. 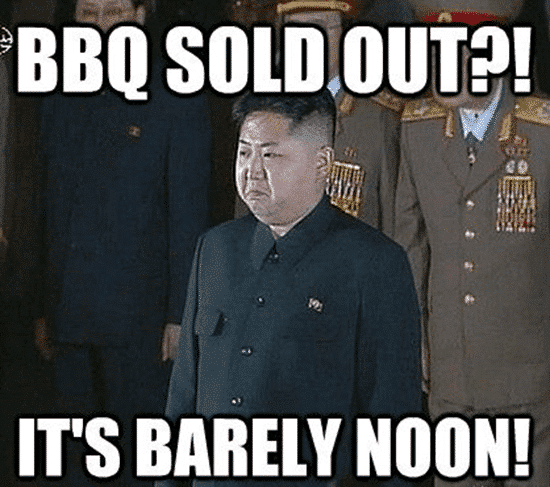 It took much longer than we’d like. There are so many variables and none that you want to compromise on. There are loads on the market, but none can compete with ours. Let us show you why! This is essentially a kettle with a handle on. Cheap, but not worth spending money on. They take a while to heat up, and once they do they splurge out a mixture of steam and spits of water. This uncontrollable flow of water and steam semi gets the job done, but also soaks your clothes at the same time. The result is a half steamed, water drench garment – not ideal. They last for around 8 minutes (because the water is heated so quickly) and just are a bit rubbish (sorry competitors, it’s true). Now these are a little bit better. They have a pump inside mostly, so the water/steam is much more controlled. However, they just aren’t powerful enough. Check the wattage! 900w, 1100w, some are even 500w! This means that the water isn’t heated up enough to provide a proper plume of steam. Now some of these aren’t too bad with the steam, but this design isn’t good for two reasons. Firstly and most importantly, they are HEAVY. 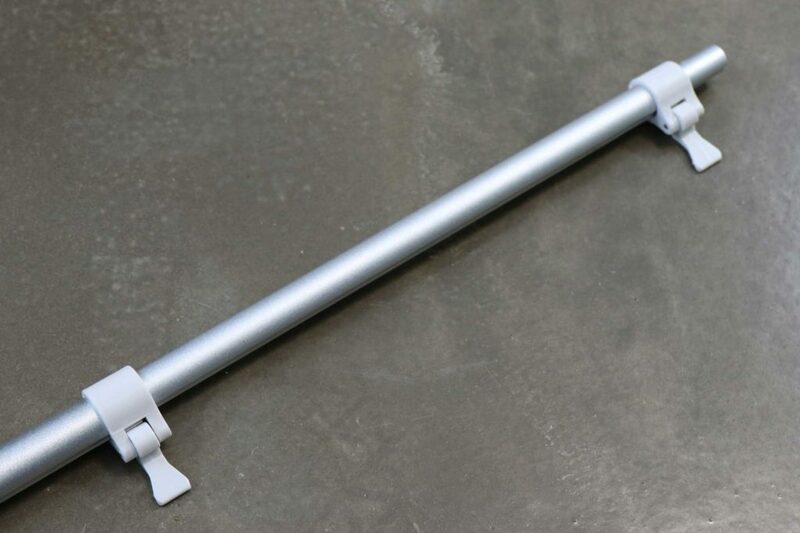 Using this for more than 5 minutes leaves your arm tired and shoulder aching. It’s not a good solution for getting some serious steaming done. Secondly, the tanks they use don’t hold enough water, so you are replacing the water all too often (under ten minutes use mostly). When shopping around for something to keep your clothes, suits, dresses, wedding dresses and soft furniture looking awesome, you don’t want to turn it on and it’s not good enough, it’s just a waste of time. That’s exactly what we thought about other handheld/travel clothes steamers. We tested and used all of these products to understand their limitations, and to make sure our f10 handheld travel clothes steamer outperformed each one. 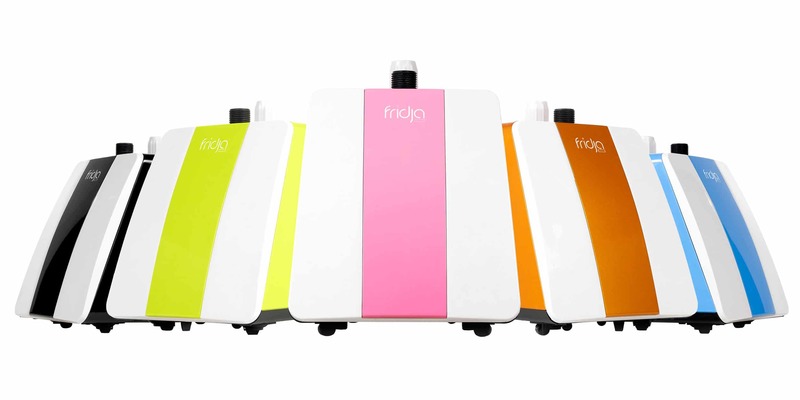 The Fridja 10 Handheld Travel Clothes Steamer has THE SAME POWER AS A FULL SIZE CLOTHES STEAMER. 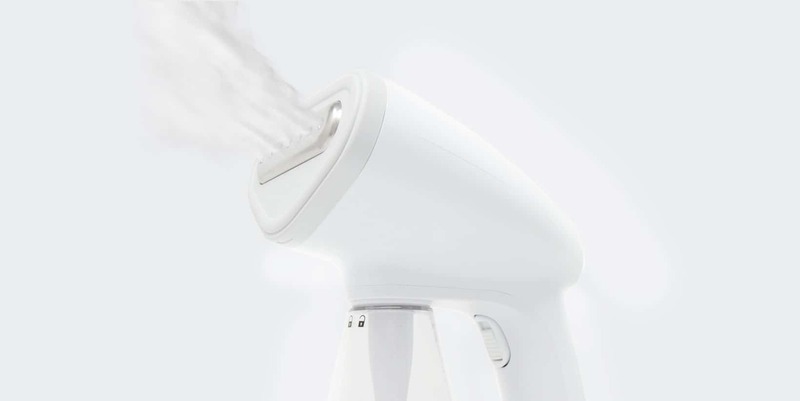 We managed to cram all the power of a full sized steamer into a handheld unit, 1500w. We’ve also coupled it with a heated metal plate, combining the power of steam and a hot ironing plate. This hot plate ensures that stubborn creases from materials like linen, cotton and denim stand no chance. NONE! When using on delicate materials, just use the net guard. 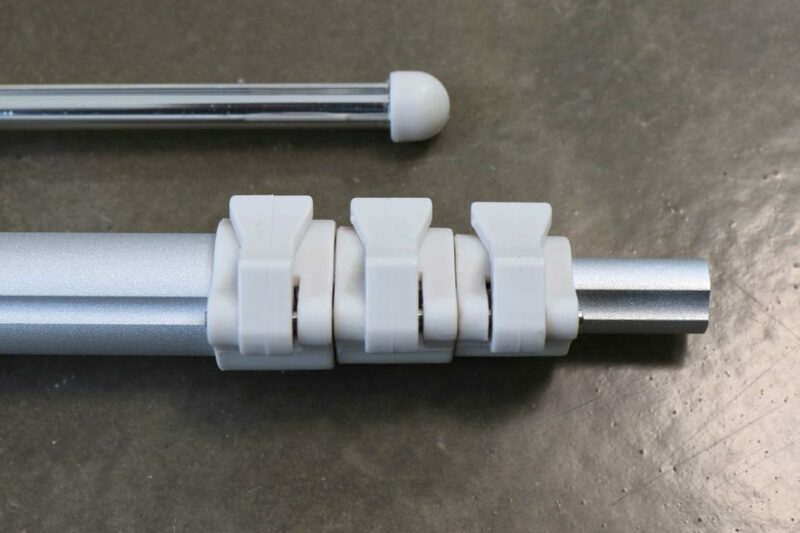 This ensures the metal plate doesn’t damage any silk, chiffon, satin, cashmere, beads, sequins or anything else you’d find on delicate garments (including wedding dresses and Asian clothing such as saris). Check out our video on how to steam a wedding dress! Here at Fridja, we’re very shallow and we’re not afraid to admit it. We NEED our appliances to look the part. So many steamers are just FUGLY. 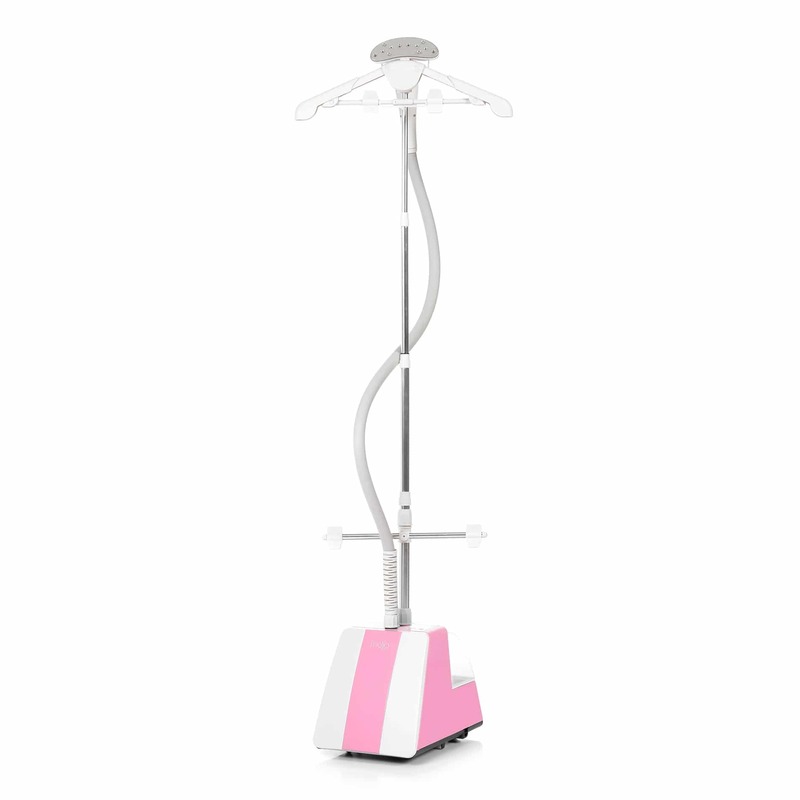 We refused to bring out a travel clothes steamer that looked anything other than gorgeous! Sporting three colours, Raf (Black), Erin (White) and Gigi (Pink) are the best looking clothes steamers on the planet. We hope you agree! 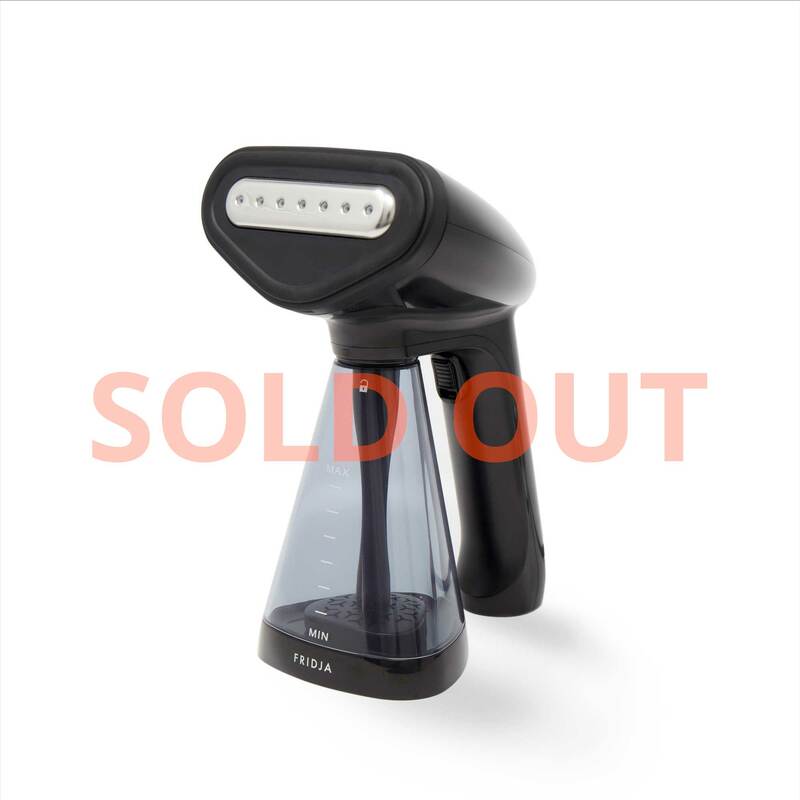 Our clothes steamer lasts for a whopping 14 minutes MINIMUM. There’s a continuous steam button, so there’s no holding down the button either. You won’t be filling up the tank over and over again when steaming, leaving you time to get refresh fabrics and zap all the creases away! 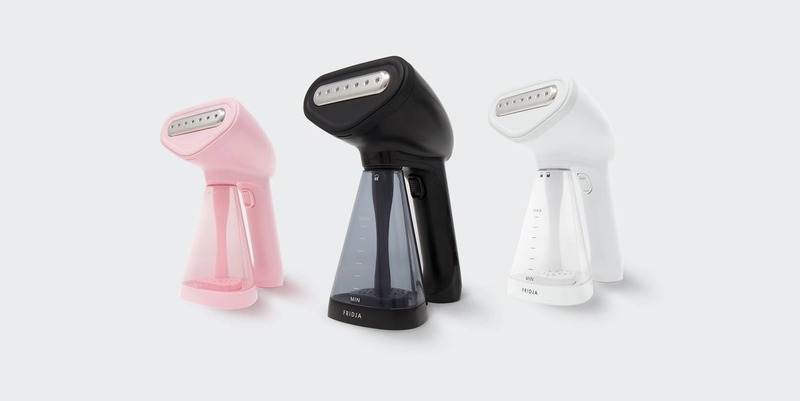 Our f10 handheld travel steamer weighs under 900g, which is super light. That means you can steam away without any strain to your arms and shoulders! 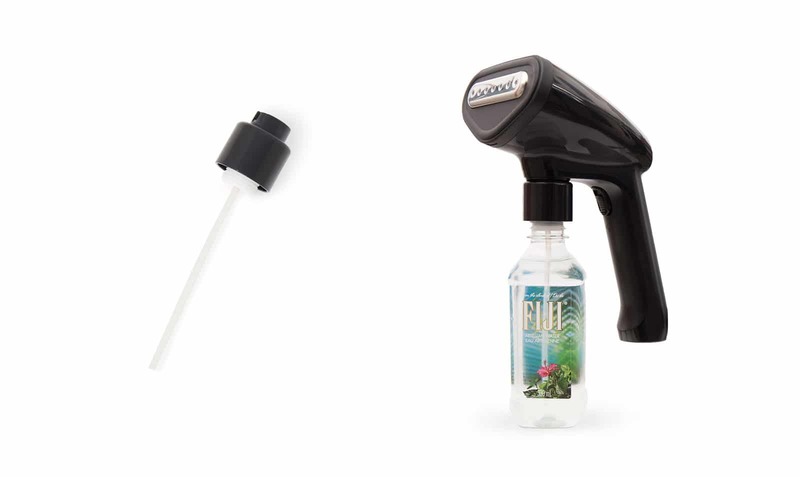 Our f10 Handheld Travel Clothes Steamer comes with a host of accessories that are actually really useful (gasp!) Here’s a breakdown. When travelling, you want to be as light as possible. Especially when you’re only travelling with hand luggage. We’ve all been there, you think the hotel will have an iron (which still isn’t as good as a steamer), and you get there and it’s not available. Or an Airbnb just doesn’t have an iron. So you get out your shirt or dress and it’s a crumpled mess. Nightmare. No longer we say! Instead of carrying the water bottle, just bring the water bottle adaptor! Just slot it in and use the local water! Because it’s much easier to steam when garments are hung up, just use this! 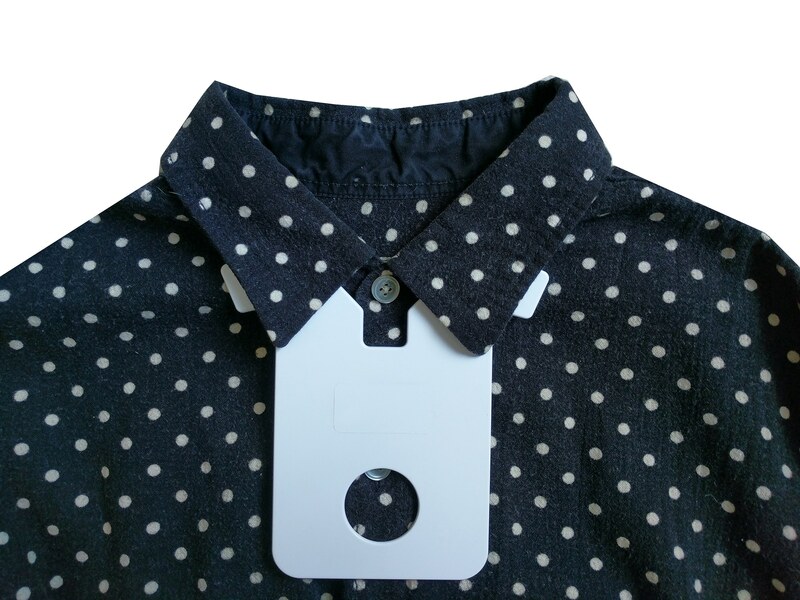 In order to get the most sharp collar, we’ve developed the collar press adaptor, particularly awesome for shirts. Just slip this under the collar and get PERFECT collars every time. We couldn’t complete our new handheld travel clothes steamer without an awesome carry case, so we didn’t! Put all your accessories and steamer in it’s home! To conclude, we are SO HAPPY with our new clothes steamer and we think you will be too. 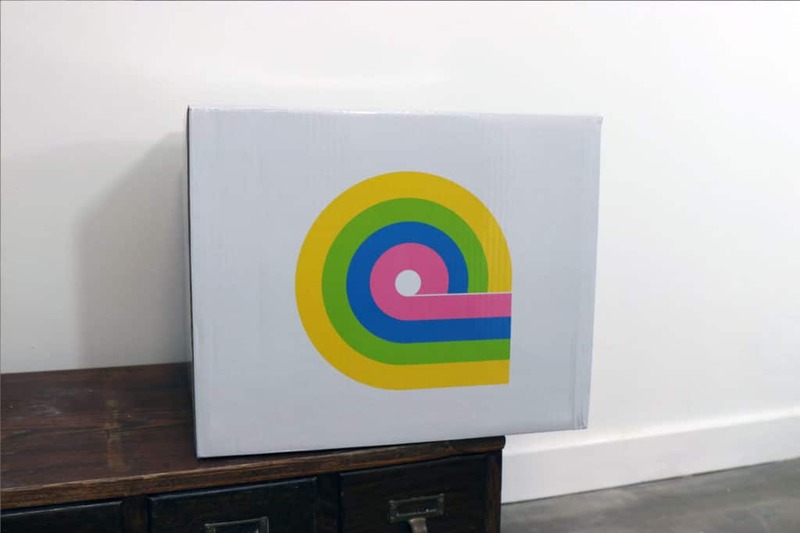 Find out more here and purchase one in our shop today here. We Launch Our Whole Fruit Slow Juicer! Today’s the day, we’re bring out our whole fruit slow juicer! 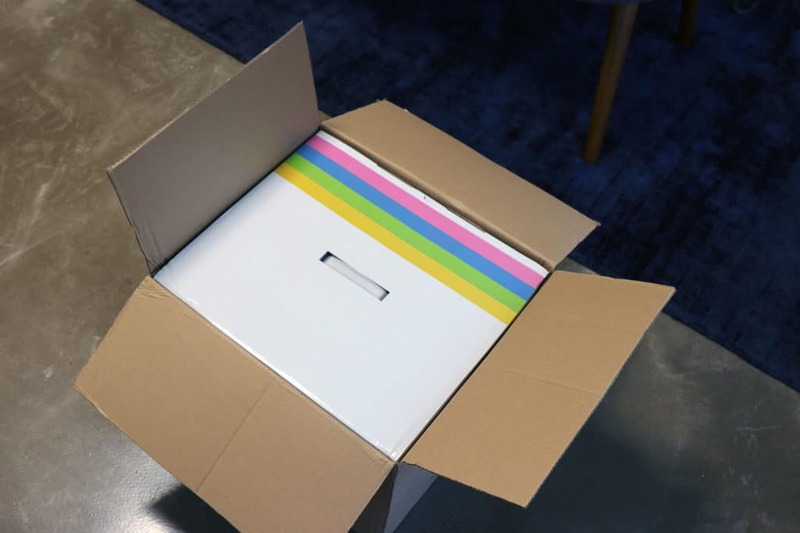 We’re super proud of bring out new products, and the today we’re launching arguing our best product yet! We’re moving forward as a company, deciding to expand into all home tech in your house. Our ethos, as always, is to be the best you you can be. We want you to look good on the outside, and our clothes steamers have been taking away creases for years. Now we’re moving inside your body too (!) We want you to feel as good as you look, and that means providing your body with the vitamins and enzymes it craves. 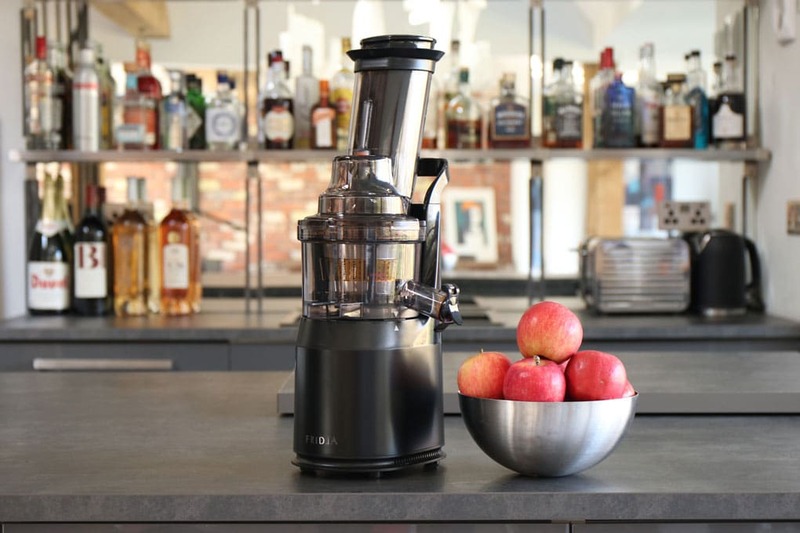 Our whole fruit slow juicer, the f1800, is the most technologically advanced juicer on the planet. It’s a power house that is ready for you for years. Juices, smoothies, fruit ice cream and nut milks just to start with. BPA free and made of the best materials on the planet, this is your new daily kitchen friend! So, without futher ado! We would love to show you our brand spanking new, whole fruit slow juicer, the f1800! Please let us know what you think in the comments section and follow our YouTube channel for videos on how to get the most out of our products! Thanks for reading! So you may ask, what’s different about the new steamer? And you’d be right to ask! Remote control? Huge water tank? LCD display? New hanger? Oh yeah, check out all our new features! We felt cruel labelling them on their colour alone, so from this day forth, let’s call them by their proper names. The birth of four girls and two boys couldn’t make the Fridja family happier!